Talking and communicating effectively are very different than the ability to "connect". We all know that old saying "It's who you know" - which is partly true, but the rest should say "It's who you know that you have connected with and left an impression on". 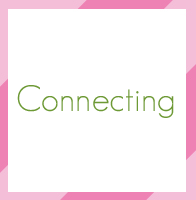 In the Connecting webinar course we will discuss how to turn an introduction into a true and real connection, and how to create more opportunities to connect with those around you on a more meaningful level. Blogs rely heavily on photos to engage visitors. In this course we'll discuss some basic photo editing techniques such as brightness, cropping, sizing and more. 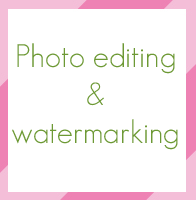 We'll also cover some ways to watermark your photos to encourage recognition and deter online theft. These tips can be used with most photo editing software including the many free online photo editing programs such as Pixlr, PicMonkey and more. 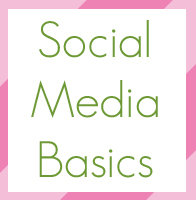 In this course will cover a brief run through of four platforms; Facebook, Twitter, Pinterest and Instagram. We will also cover the use of hash tags, visual preference, brands and how they work within these platforms, ways to promote and discover what platforms "fit" you best. 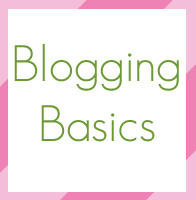 This course will cover the basics of blogging. We will cover posting basics, visual importance, scheduling, importance of consistency, rules of thumb and more. Blogging Basics will give you a boost to create a blog with confidence and also give current bloggers a fresh look at techniques to apply. 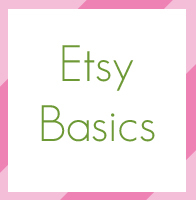 This course will cover the basics of selling on Etsy. We will review the functions of listings, orders and administrative tasks. We'll discuss Etsy courtesy, expectations and guidelines. This course will have you prepped and ready to become an Etsy maven. 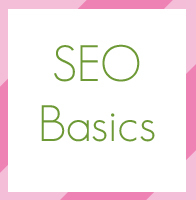 This course will cover the basics of search engine optimization. You'll learn a skill set that will help bring more traffic to your website. We will discuss important tools that every blogger should be using to monitor traffic, research keywords, increase growth and prevent search errors. *Once payment is made you will be directed to the webinar site to complete the course registration forms, any further questions please contact us by email blogfete@gmail.com. *Those who took part in a course will receive a recording of the class as well.